I am Tony Burrows and am now the owner of Burgashell. Burgashell has been the business of making sculling boats for 35 years and is well known in the rowing community and are proud to an all British sculling boat manufacturer. The workshop is based near Ely, Cambrigeshire in the heart of the fens. We build a full range of sculling boats as you will see from the illustrations. We also have a comprehensive repair service and undertake all repairs whether it is just a scratch or a total break. I am an approved repairer for Noble Insurance and other leading insurance companies. All our boats and repairs are completed to high standards of workmanship and are very competitively priced therefore offer excellent value for money. 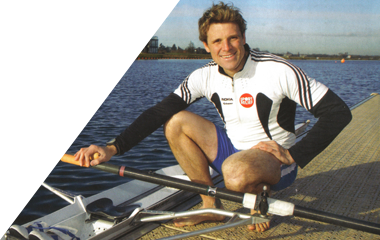 We also can supply parts for sculls and are agents for H2Row shoes. I hope you will take a few moments to look at the website and see what we have to offer. If you have any queries you can contact me on 01353699140 or 07815969789 and I will be pleased to help you or you can e-mail at info@burgashell.co.uk. Thank you for looking at the website.